Acoustic Resonance Therapy (A.R.T.) promotes relaxation and healing through the use of sound and vibration. Listening and feeling the music simultaneously allows the body to naturally relax into the harmonic flow, thus allowing the body to reset and return to its natural state of being. Our brains are constantly in communication with all systems of the body by sending sending and receiving signals from the skin, bones, muscles, nerve cells, hormones, etc. The stress hormone can limit this communication, eventually inhibiting proper functioning of the immune system. Thus, by staying in a constant state of stress, our ability to fight disease is impaired. By relaxing into a state of peaceful listening, we are able to stimulate endorphins that promote balance in the body’s communication. Acoustic Resonance Therapy helps stimulate the natural relaxed state of body and mind. It balances our brainwaves and restores the body to a natural restored state of being. Listening to music and feeling it resonate in the body promotes awareness of the tensions in the body. With musical harmonic resonance, the body will relax stressed muscles and joints. By resonating with the calming vibrations, the brain activates neuro-pathways helping create mental focus and stable heart rate. Numerous integrative medicine studies have revealed that simultaneously increasing awareness of sense and feel in the mind and body naturally strengthens the immune system. This awareness creates energy. The fields of acupuncture, massage, cranial sacral practices and somatic therapies all use this as a foundation of their practices. 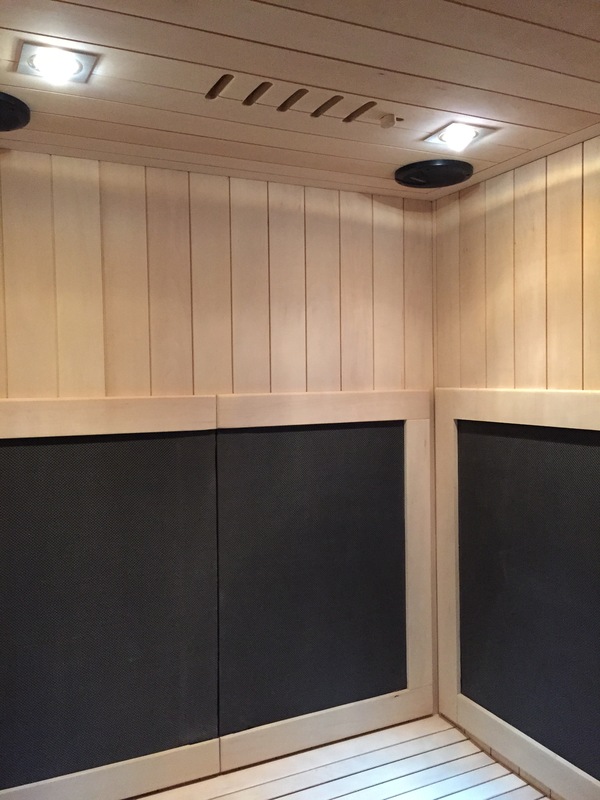 How is acoustic resonance therapy incorporated into the sauna? 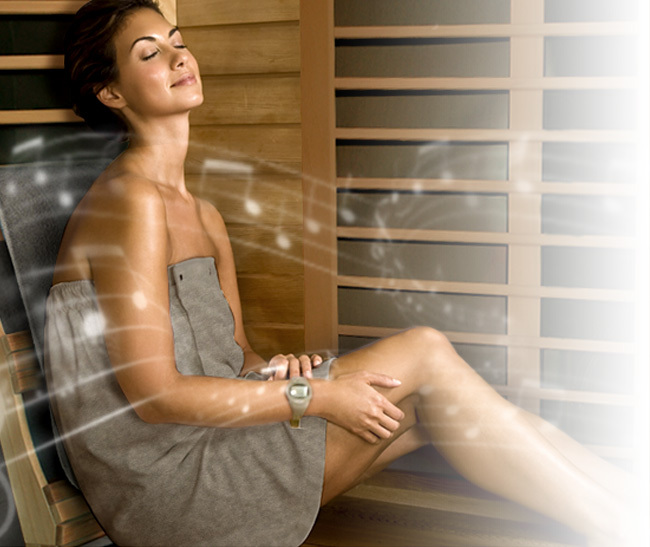 The technology created So Sound Solutions™ creates soothing vibrations in the sauna. So SoundHearts® provides sound waves that create a musical massage that bring peace and balance to the body and mind. Located in specific locations in the sauna, the So Sound System uses an amplified audio signals to bring waves to the hard surfaces of the sauna. Feeling these vibrations stimulates the body to promote natural relaxation and harmony.